More than 10,000 families have been impacted. Thank you to all of our sponsors throughout all of the years! Without your support we would not be able to help families. The Hands Up Foundation is a Michigan based 501(c)(3) nonprofit. Its mission is to seek out opportunities to serve the disenfranchised. We catalyze resources to improve the quality of life for families in need within our communities. We serve the most marginalized members of our community. South Central Michigan has one of the highest rates of food insecurity in the state with 19% of the population living below poverty level. We are able to give people in need a hand up, not just a hand out. The Hands Up Foundation has partnered with local businesses to organize fundraising campaigns to support our mission. Our organization started when founder and President, Josh Thompson felt a calling to help families less fortunate than himself. He was inspired by the connections he made with local residents in need and realized the smallest efforts, such as providing a meal, can have lasting impact. We strive to provide hope by reminding our community members that they are not alone. 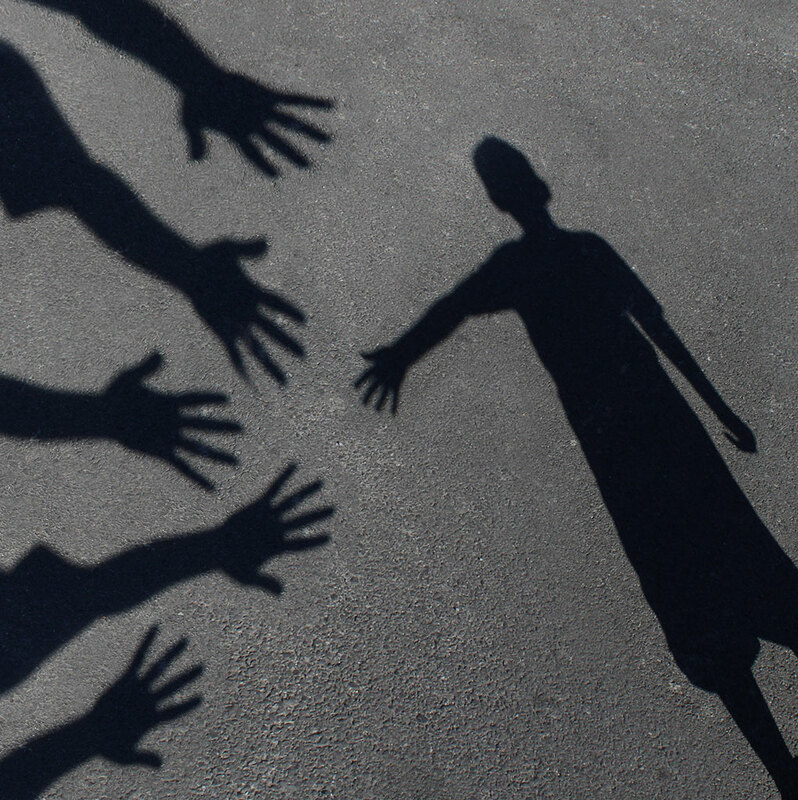 Hands Up realizes our success lies in those that show up to give of their time and resources. Our volunteers inspire us to further our mission and keep fighting the good fight. There is no greater gift we can give others than that of our time and energy. There is no greater gift you can give yourself than to stand in the service of others. JOIN US!!! In 2004, author and speaker Anthony “Tony” Robbins asked Josh Thompson, a local businessman, the question that would birth Hands Up Foundation; “What are you doing for others?” Josh realized that he wasn’t asking about how he treated his employees or whether or not he was taking care of his family, but about his community. A lightbulb went off, and he asked Tony if he could copy his model of buying Thanksgiving turkeys for families in need in the community that fall. Tony agreed, but Josh knew that he wanted to do more. The Hands Up Foundation is a Michigan based 501(c)(3) organization that was started in 2004 as an annual Thanksgiving meal giveaway. The formal non profit status was established in 2014. 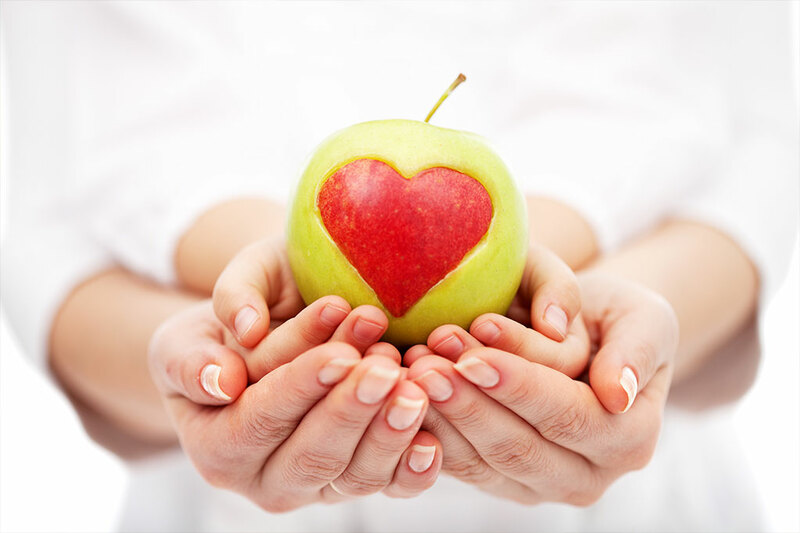 Our mission is to help families with children in the local community and surrounding areas and are based in Kalamazoo. Our purpose is to provide help and hope to those in need. 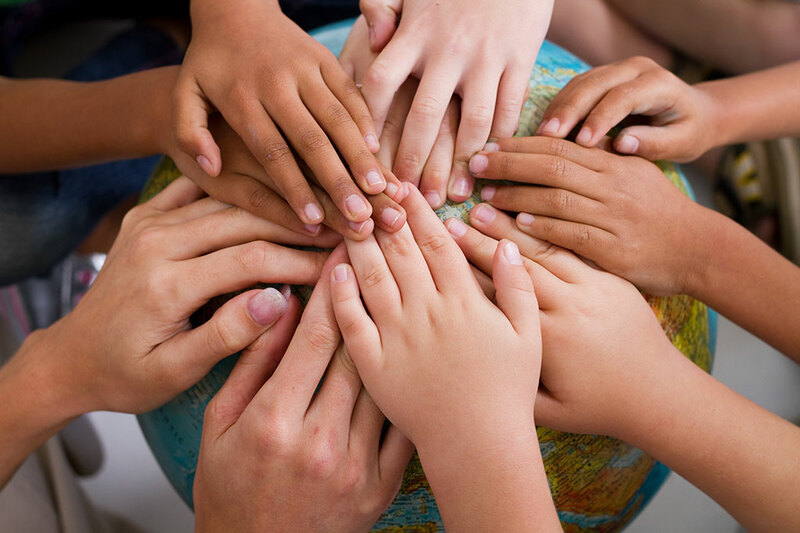 Together we can make a difference. Whether you donate time and/or money, you will be able to help your local Kalamazoo, MI community. 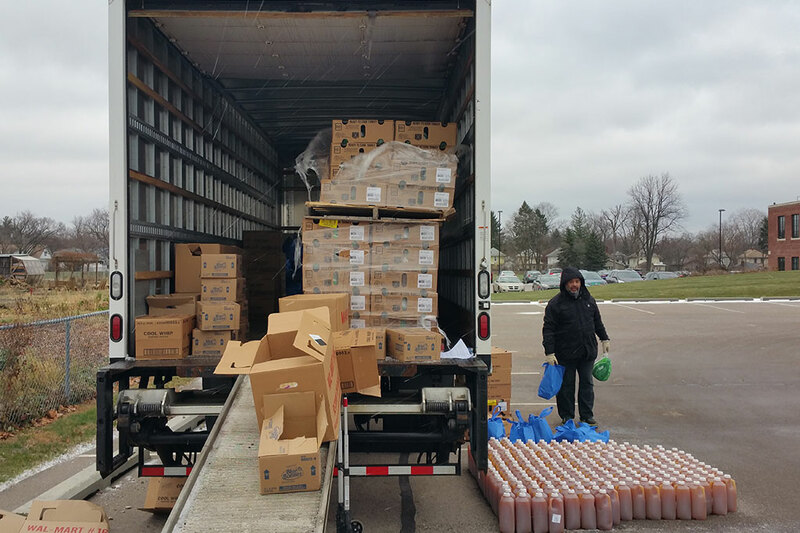 Thanksgiving 2015 Hands Up provides 512 meals to families in the Lansing area. 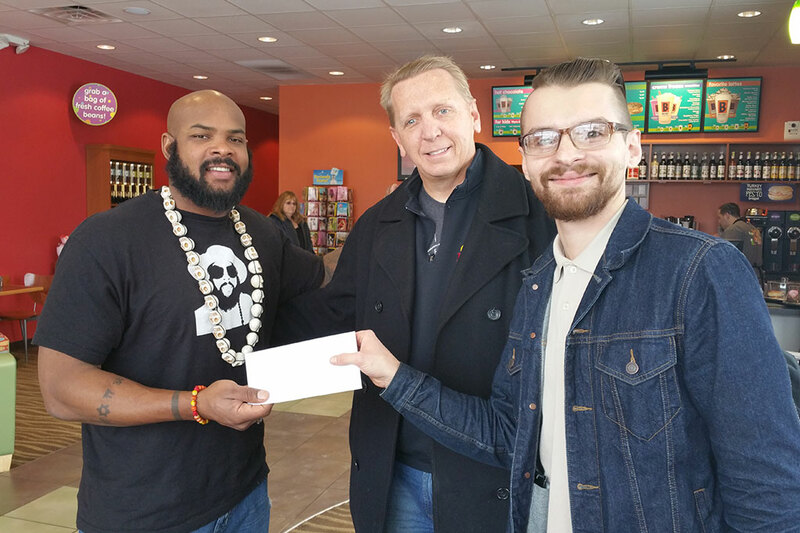 Todd (TJ) Duckett volunteers as guest barista at Biggby Coffee resulting in a $700 gift to The Hands Up Foundation. 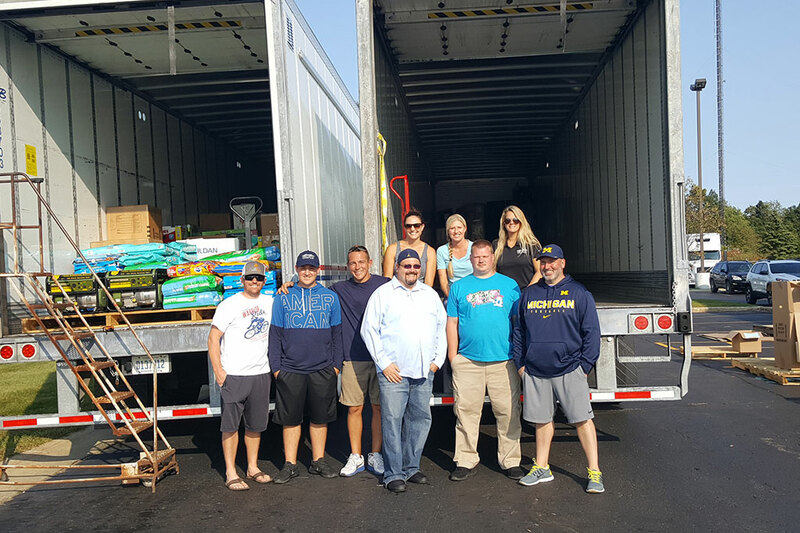 The Hands Up Foundation partnered with B & B Trucking to drive two semis to the east coast with needed goods for the victims of Hurricane Sandy. Have fun while giving back! Check out all the great people who came together to build up our community at one of our fun, local events.